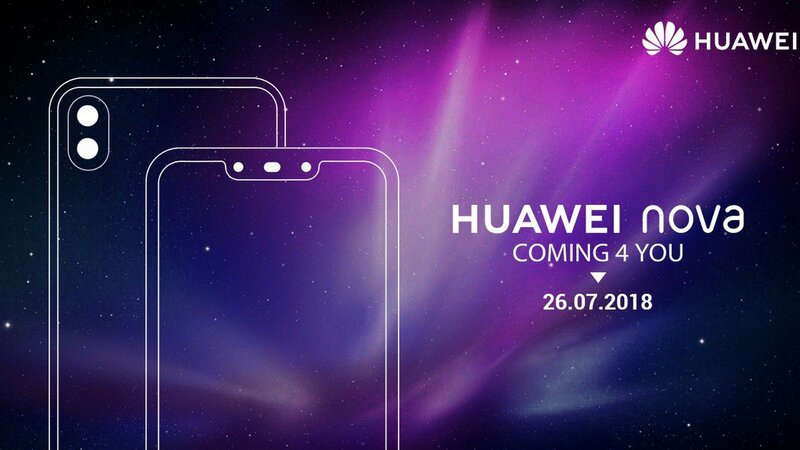 The Huawei Nova 3 is set to launch in China on 18 July and it is believed that the Nova 3i will accompany it. Huawei has been teasing the launch of a new addition to its Nova series in India for some time now. Recently Huawei's official Indian twitter handle confirmed that the device would be launching in India on 26 July. While many people have assumed this device to be the Nova 3, there is speculation that Huawei may also launch the Nova 3i along with it. Now as per a leak the price of Nova 3i has been revealed but it's not in INR. The leaked image comes from Slashleaks and it is a flyer from Vietnam's largest mobile retail chain The Gio Di Dong. As per the flyer, the Nova 3i has a price tag of VND 11,990,000 which is roughly Rs 36,000. As of right now neither the Nova 3 or Nova 3i have launched anywhere. As matter of fact this the very first solid reference we have seen of the Nova 3i. The Nova 3 is set to launch in China on 18 July and it is believed that the Nova 3i will accompany it. There is also a wild rumour that Nova 3 and Nova 3i are one in the same phone which will be marketed under different names in different regions. We shall know for certain when the launch event happens in India on 26 July. The Nova 3 specs are already our after the device got listed on Chinese website V-mall for pre-order. As per the listing, the Huawei Nova 3 features a bigger 6.3-inch Full HD+ LCD display with an aspect ratio of 19:9. Weighing 166 grams, the smartphone sports a fingerprint scanner on the back. In terms of optics, the back of the phone has a 16 MP f/1.8 RGB primary sensor and a secondary 24 MP monochrome sensor. Moving on to the front, Huawei has managed to fit the Nova 3 with two cameras despite the size limitation of the notch. Here we get a primary 24 MP sensor and a secondary 2 MP sensor for better bokeh. Inside, we get the octa-core Kirin 970 chipset with four performance Cortex-A73 cores clocked at 2.4 GHz and four low-powered Cortex A53 cores clocked at 1.8 GHz. The Nova 3 will, however, be available in only one variant with 6 GB RAM and 128 GB of onboard storage. Huawei has also thrown in a 3,750 mAh battery unit along with its Super Charge feature.